Los Barriles makes our “Best Places to Live in Mexico” list for it’s close proximity to the U.S., it’s small town atmosphere, the large supportive English speaking expat community and it’s beautiful white sand beaches on the Sea of Cortez. 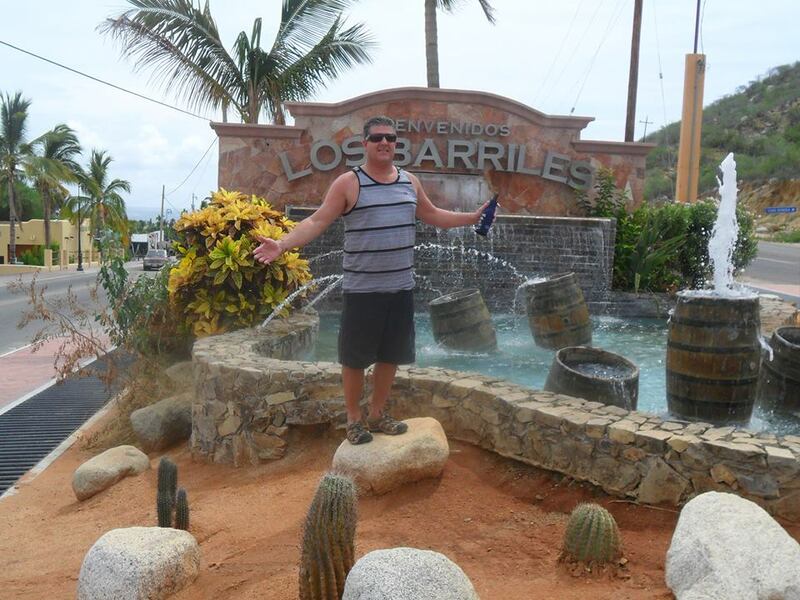 Los Barriles is located in Baja California Sur, on the Sea of Cortez coast, about halfway between La Paz, the capital of Baja California Sur, and Cabo San Lucas. It’s a small town of around 5000 residents, half of which are ex-patriots. With nearly half the town being ex-patriots, English is spoken here but it’s helpful to know Spanish. 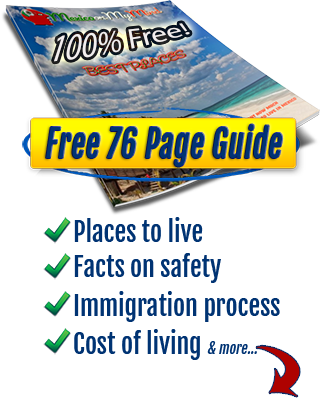 The nearest airport is San Jose del Cabo (SJD). Los Barriles is about an hour drive north from there. After leaving the airport, follow the signs to La Paz instead of Cabo San Lucas. 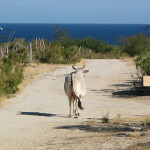 Due to roaming cattle and goats, it’s better to make this drive in daylight hours! If you are driving from the U.S. California border, it’s about 1000 miles south on Highway 1. If you are looking for a quaint Mexican village close to the border, Los Barriles is a great choice. 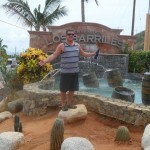 Los Barriles still has a small town feel with none of the glitz and glamor of Cabo San Lucas. The tourists that come are here for diving, fishing, windsurfing and kite boarding and there are a lot less of them. Los Barriles is part of The East Cape region which comprises the entire eastern Sea of Cortez of the Baja peninsula from Punta Pescadero, just north of Los Barriles, south to the eastern edge of the new marina in San Jose del Cabo. 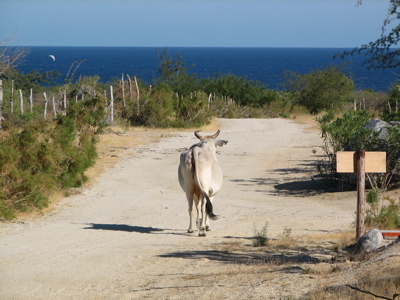 There are a string of small settlements and villages including Santiago, La Ribera and Cabo Pulmo within the East Cape region. Santiago, a small mountain town about 20 minutes from Los Barriles, was founded as a mission in 1723. Today, Santiago consists of rolling vistas of farms and orchards that Los Cabos restaurants, hotels and markets purchase their produce from. The town’s colonial plaza has markets selling local fruits and vegetables. There is only one hotel in Santiago, the Palomar Hotel and Restaurant. Cabo Pulmo, about 25 miles south of Los Barriles, is a dive magnet and is basically a cluster of roughly 100 residents around a few restaurants, a dive resort, a general store, and three dive shops. The enclave is off the grid and runs on solar power and a few generators. 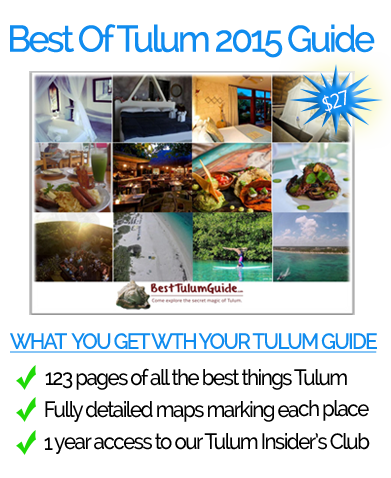 The marine life is so plentiful that just by wading into the water, you can see rays, tropical fish, and nurse sharks. Sea lions are also here! Activities throughout The East Cape region include fishing, kite boarding, wind surfing, sea kayaking, scuba diving, swimming, whale watching, bird watching, hiking, horseback riding, mountain biking, off road motorcycling, tennis, yoga classes, exercise classes, art classes, art fairs and more. La Paz and Cabo San Lucas often feature orchestra’s, concerts, plays, and ballet’s as well. With less than 10” of rain a year, Los Barriles easily qualifies as desert. Weather averages are around 80 degrees during the days except for June, July and August when temperatures can get up to 100 degrees. Lows are in the high 50’s to mid 70’s (June, July and August) at night. In the winter months, it can be quite windy which is why Los Barriles is such a draw for windsurfing and kite boarding. Depending on your lifestyle choices, you can live in Baja for less than you can in the United States or Canada. Depending on where you are from however, this decrease in cost of living is not necessarily reflected when it comes to purchasing real estate. For example, a nice one-bedroom house or condo can be rented for under $700 a month but purchasing one is around $125,000.00. Gasoline is about $3.00 per gallon, produce is very cheap, and groceries in general are less than in the U.S. if you buy the Mexican brands rather than the imported U.S. brands. Doctor visits are about $40. 00 US and a cleaning at the dentist is about $50.00 US. Property taxes for an average house are less than $500 a year. Prices for real estate are quiet a bit less expensive than in Cabo San Lucas or San Jose Del Cabo and range anywhere from $125,000.00 for a condominium to $2,000,000.00 + for an oceanfront hacienda. Land in this area is for sale and ranges in price as you get nearer to the water. Mortgages are available but the interest rates are prohibitive. Cash deals, or private financing is the favorable approach. Make sure that you get title insurance when purchasing a home or land in Los Barriles. The two medical clinics available in Los Barriles are East Cape Health Center and an Amerimed satellite clinic. There is one ambulance for the town. East Cape Health Center and the East Cape Dental Clinic, provide basic, quality care beyond first-aid efforts. 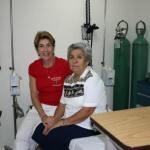 It is a not for profit health care clinic for locals and legal expats started by Char Wegner in 1988. Char is still there today. Amerimed is a satellite clinic of the AmeriMed hospitals in San Jose del Cabo and Cabo San Lucus. AmeriMed provides full medical services based upon U.S. standards of health care with a full range of emergency and routine services, plus a pharmacy. The Los Barriles AmeriMed Clinic operates EMT and ambulance service and is staffed with bilingual, in-house physicians. Nurses provide total quality care, supported by the latest in technology. 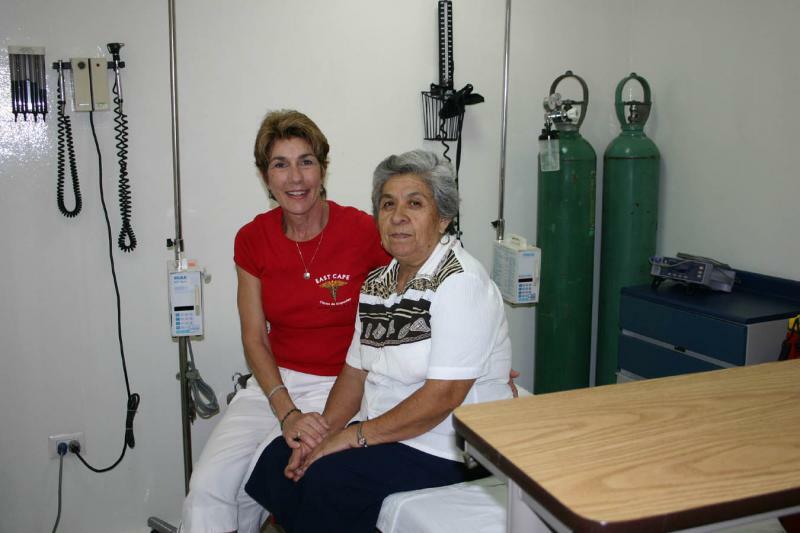 La Paz boasts several hospitals with emergency air-lift services. Highway 1 runs the full length of the peninsula and is upgraded fairly consistently but private roads in Los Barilles are largely dirt. Electricity is provided by the municipality at a very reasonable rate but the sandy soil means that erosion will occasionally interrupt the supply. Many people install generators because of this. Most properties also receive water from the municipality but have bottled drinking water delivered. Local phone service is readily available as is high-speed Internet access that supports voice over IP phone service. There are two medical clinics, two banks, three ATM’s, three super markets, two gas stations and nine hotels. Cellphone service, high-speed and wireless internet are available. There is a local post office that will receive packages and mail for you. Los Barriles also has a veterinarian that is very good. There are 2 churches in the area, the Historical Catholic Church and The Nueva Vida Christian Church which offers services in English as well as Spanish. Shopping is restricted to grocery stores and tourist items but after living in Mexico for five years, I can honestly tell you that you start to release “needing” the latest and greatest things when they aren’t right in front of your face all the time. It’s an hour and a half drive to get to Costco, Home Depot and Wal-Mart in Cabo San Lucas. The only time this is inconvenient is when you are in the process of setting up your home. During this period, try to make lists and make it a shopping event. Eventually you get past that period and then you only need to make those trips a few times a year. Los Barriles has an extremely low crime rate. Most of the crimes of violence occur near the U.S. border and Los Barriles is far enough away from this activity that drug crimes are not occurring here. 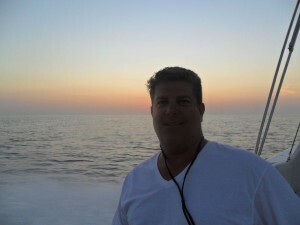 Bisbee’s East Cape Offshore Fishing Tournament has been held in the Cabo area for the last 30 years. The events are generally held each July and October. If you aren’t ready to compete, getting out to watch the boats and the experience the excitement is a lot of fun too! Nestled between two great bodies of water, the Pacific Ocean and The Sea of Cortez, the constant access to a wide array of sea life is amazing. Whale watching is a popular activity and while you’re on the water you are also likely to see manta rays, sea turtles, dolphins, and whale sharks. Bird watching is a popular past time with expats. This area hosts many varieties of birds including 6 endemic species including the adorable Cape Pygmy Owl. In spring, Los Barriles hosts the Baja Shakespeare Festival and in winter, when the world famous winds kick up, Los Barriles hosts the world championship annual kite boarding event, the Lord of the Wind. Windsurfers and kite boarders claim it has the best wind in all of Mexico!